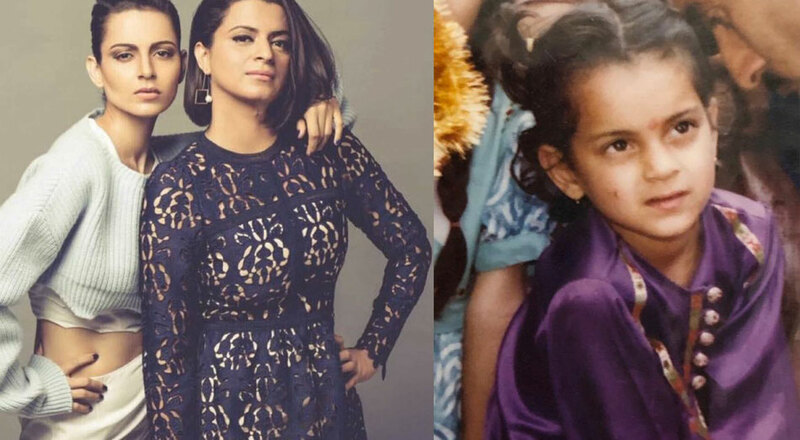 Kangana Ranaut turns a year older today and on the occasion of her 32nd birthday, her elder sister and manager, Rangoli Chandel shared an adorable throwback picture of her little sister. Before turning 32, Kangana took a ten day break to rejuvenate herself by attending a ten-day wellness program in Coimbatore, Tamil Nadu and indulged in yoga and meditation there. Kangana, who was last seen in Manikarnika: The Queen of Jhansi, today announced that she is playing the lead role in late Tamil Nadu Chief Minister, Jayalalithaa’s biopic, which is being directed by AL Vijay. The biopic is being written by KV Vijayendra Prasad of Bajrangi Bhaijaan, Baahubali and Manikarnika fame, and is being produced by Vishnu Vardhan Induri and Shaailesh R Singh.